Another one that will be made asap! Pinned and making next week! ooooh, I know what I’m having for lunch! Thanks! MMM chicken salad. I don’t really like guacamole though, so I would have to see if I liked it or not with chicken salad. I could probably live on chicken salad alone! 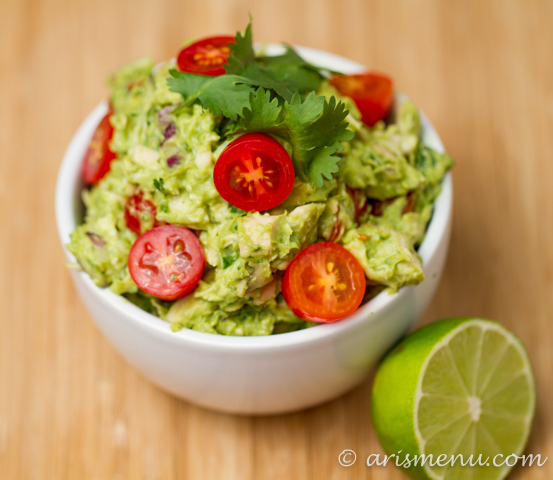 this looks so avocado-y and so ridiculously good!! Mmm! 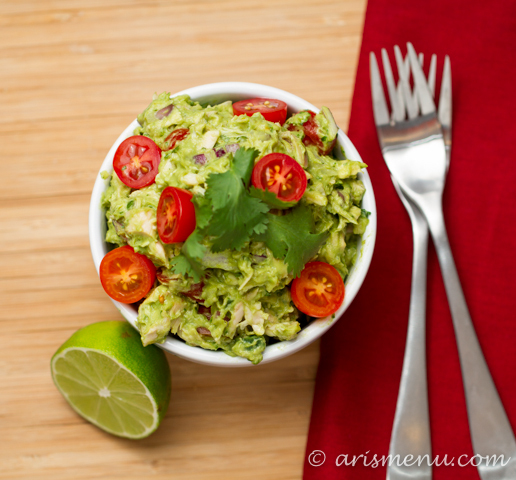 I have been eating avocado tuna salad, and this looks even more guacamole-y than mine, which is the good part, yum! 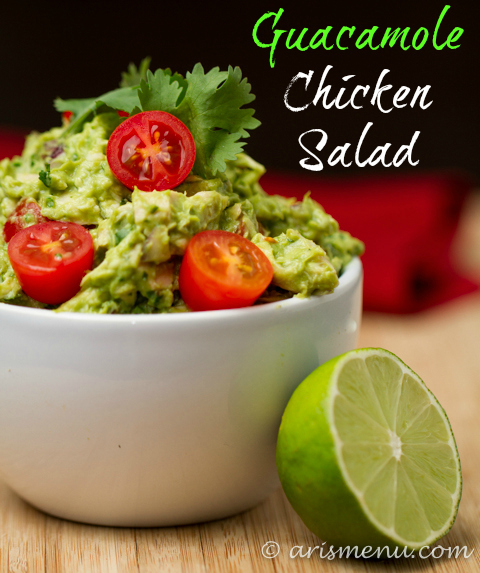 Love guac and love chicken salad with cranberries.. never thought to combine them. This looks awesome! My name is Katy, and I have a guacamole problem. 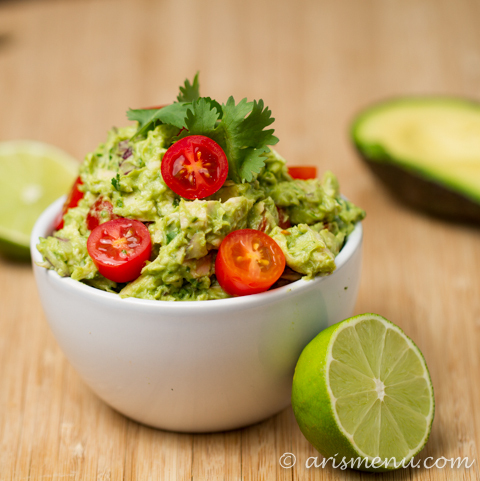 LOVE me some guac with cherry tomatoes…this is divine! I’m actually heading to make some for lunch right now. What are the chances. Beautiful garnishing Ari! I totally have a chicken salad problem too. And then you went and combined it with guacamole! My problem just got worse! Omg, I want to try all of these! They look amazing. Mmmmm! Mmmm. Bet those cranberries tasted yum. Never would have thought to add them with the guacamole. I’ve had making a chicken salad using avocados instead of mayo on my to make list for the longest time. Pictures are gorgeous! I made this recipe tonight, and it turned out AMAZING! I’m definitely sharing this with my friends – thanks for the good eats! If you leave the avocado pit in with the salad, it will stay fresh longer. 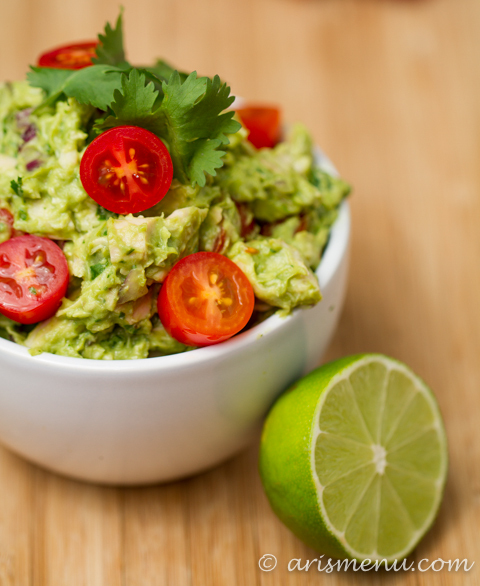 I do that with regular guacamole and it stays fresh much longer than just using citrus. small amount of liquid smoke (optional) about a capful. mix together and it is wonderful – and avoids everything I can not eat…sugar, dairy, wheat, gluten, eggs.